Several years ago I used to ride my bike to work, and sometimes I’d take the train to San Jose and bike from there to home. It was just a little shorter that way, and it added some variety to what was usually an hour and fourty five ride. Once off the train, I’d sometimes take San Carlos–a street lined with strange, at least to me, stores out of a time warp. It’s very California. 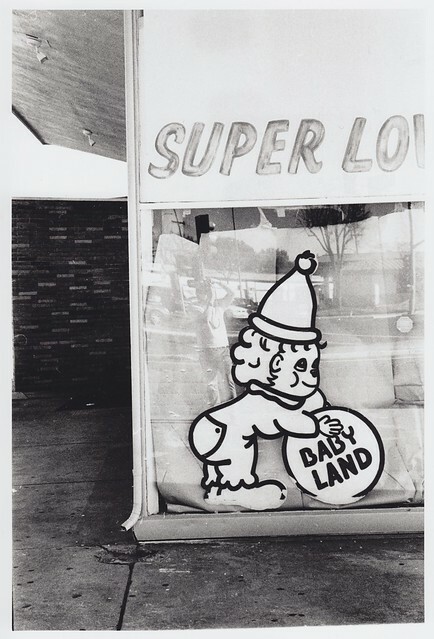 Once you hit the corner of San Carlos and Bascom you will see Babyland, or what used to be Babyland. Back when I was on the bike, it was open. Now, it’s a shell of a building. 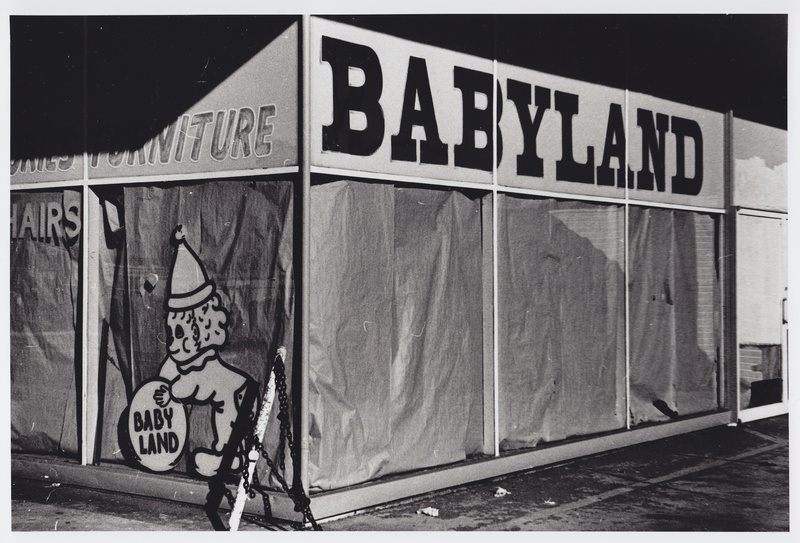 In its day, it appeared to be a great place to buy baby furniture; however, there’s just something about the place that’s a little off. It’s from another time. It’s a roundish building that resembles an auto dealership from yesteryear. Most striking is it’s BABYLAND sign and it’s skull faced clown baby logo-thing. Once I noticed they went out of business, I promised myself I’d photograph it before it disappeared forever. This entry was posted in California by Damon. Bookmark the permalink.